OceanJet crew were very helpful making the boarding and off boarding of passengers very orderly. Fast craft left Tagbilaran on time and actually arrived in Dumaguete earlier than schedule. 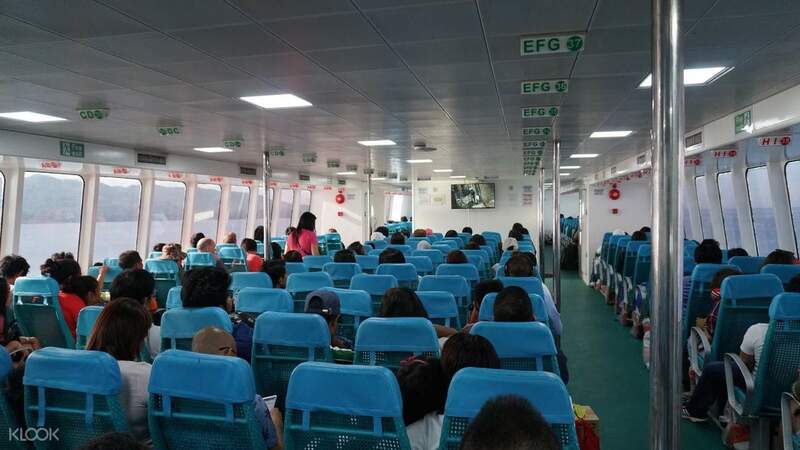 Get from Bohol to Dumaguete (and vice versa) in only 2 hours with hassle free and comfortable fast ferry transfers. 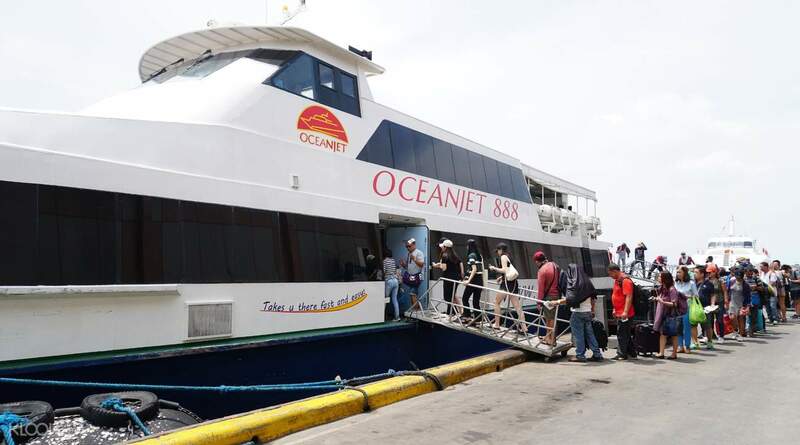 Travel via OceanJet, one of the most reputable ferry operators in the Philippines and get to explore two of the most bustling tourist destinations in the Visayas region. Simply present your printed or mobile voucher, and a valid ID that matches the name you submitted for the ticket, and off you go - convenient and hassle free! Great help for travels. I did not bother to line up and to pay my ticket in the pier. Also the ticketing office resched my ticket in just a short span of time. I’m really happy i found out this app. Thanks a lot Klook. Great help for travels. I did not bother to line up and to pay my ticket in the pier. Also the ticketing office resched my ticket in just a short span of time. I’m really happy i found out this app. Thanks a lot Klook. it was a very smooth travel. no need to fall in line, after paying the terminal fees, go straight to the check in counter, and wait to board. we left a liitle late but we arrived at the port earlier than the schedule! thumbs up! it was a very smooth travel. no need to fall in line, after paying the terminal fees, go straight to the check in counter, and wait to board. we left a liitle late but we arrived at the port earlier than the schedule! thumbs up! Not sure how they Calculate the luggage fee, we were collected 3xx peso for 2 luggage while us saw the supercat stated only 50peso per luggage. Not sure how they Calculate the luggage fee, we were collected 3xx peso for 2 luggage while us saw the supercat stated only 50peso per luggage. Good price and pleasant journey. Easy to redeem at jetty. Not easy to find providers for this service. Reliable ticketing through klook, would recommend! Good price and pleasant journey. Easy to redeem at jetty. Not easy to find providers for this service. Reliable ticketing through klook, would recommend! OceanJet crew were very helpful making the boarding and off boarding of passengers very orderly. Fast craft left Tagbilaran on time and actually arrived in Dumaguete earlier than schedule. OceanJet crew were very helpful making the boarding and off boarding of passengers very orderly. Fast craft left Tagbilaran on time and actually arrived in Dumaguete earlier than schedule. Just present the voucher and the staff already know the booking. After paying the terminal fees, can go to the gate directly. Just present the voucher and the staff already know the booking. After paying the terminal fees, can go to the gate directly. It was very convenient to use Klook when it comes to butying the ticket. Smooth ride. It was very convenient to use Klook when it comes to butying the ticket. Smooth ride. We saved a lot from using promo code. Very convenient and hassle free. We saved a lot from using promo code. Very convenient and hassle free.